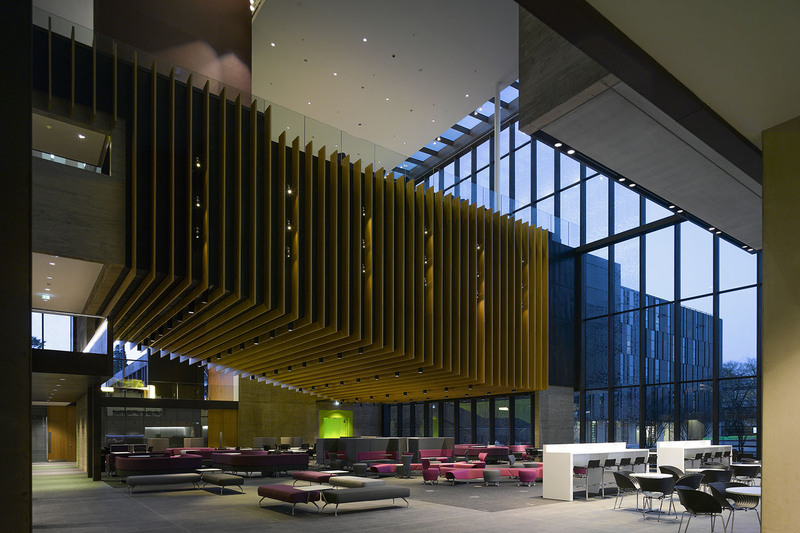 Central heart to the University consisting of interconnected internal and external spaces, embracing new ways of learning. 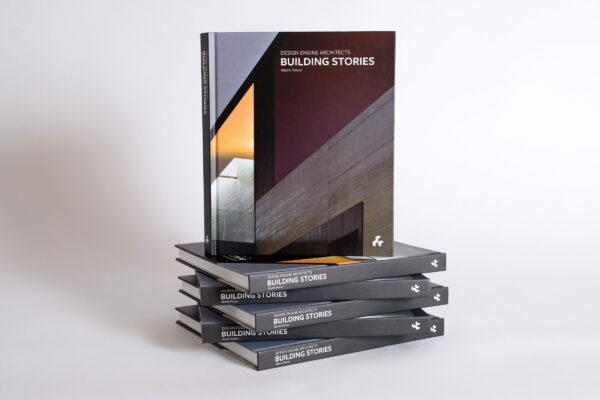 We were commissioned by Oxford Brookes University to produce a new masterplan for their Headington Campus and to design a series of interconnecting projects as the first phase of its delivery. This 24,000 sqm scheme was won by invited competition with six other British practices and was submitted for planning to Oxford City Council in 2009. Completion occurred in phases between 2012 and 2014. 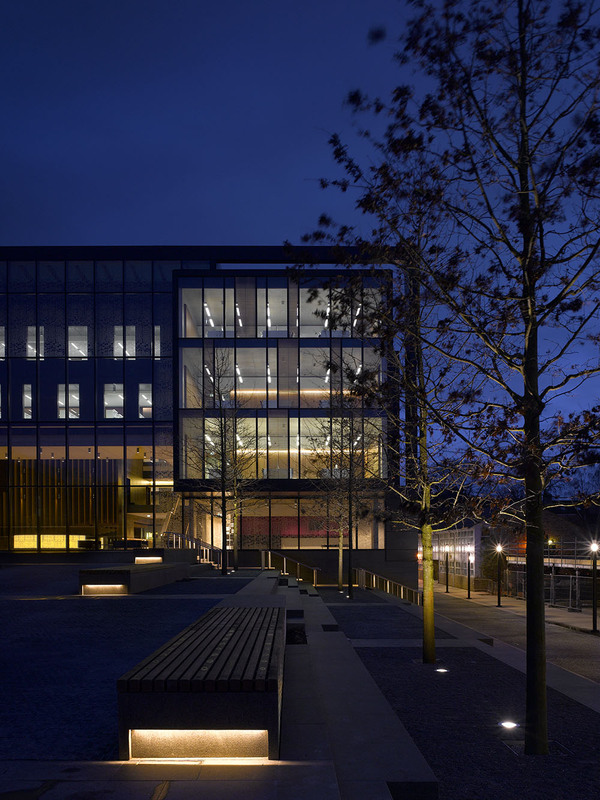 Those elements of the master plan delivered by Design Engine consist of the Abercrombie Building and the John Henry Brookes Building. This forms part of the University’s progressive ‘Space to Think’ initiative. 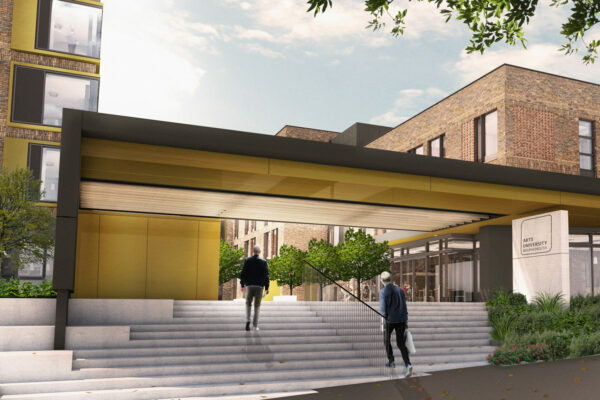 Accommodation includes a new library, main social learning space, lecture theatres, student services centre, teaching accommodation and commercial/retail space. 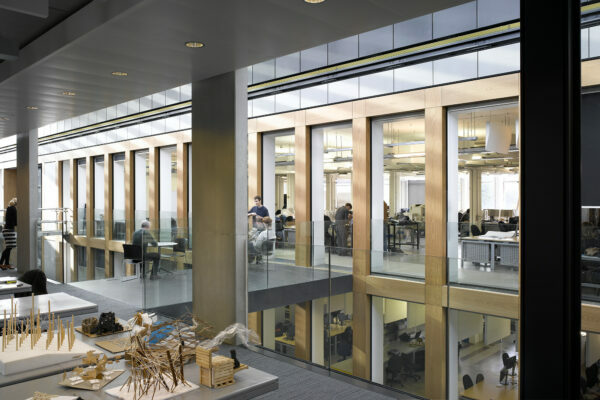 At the core of the concept for the scheme is the ambition to bring cohesion to a disparate campus; integrating existing buildings with new central student facilities. 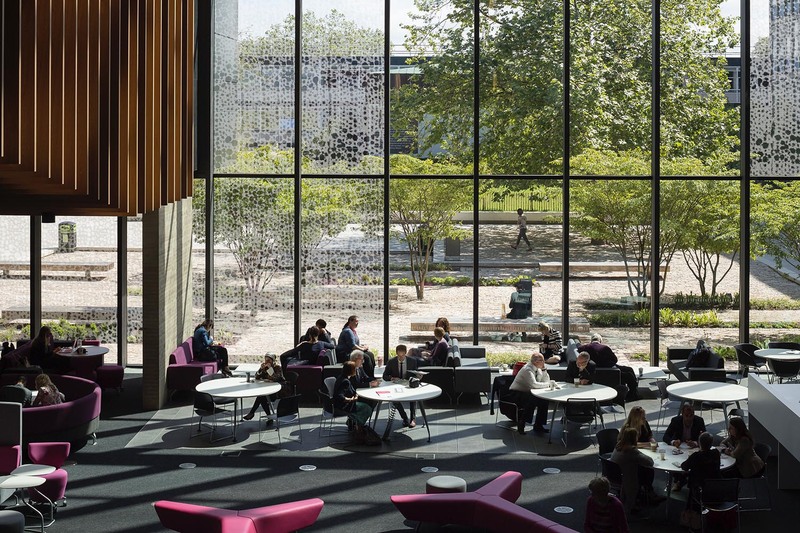 These links provide fluid movement across the new campus for the first time, where academic spaces co-exist with social areas for the enjoyment of students and staff alike. 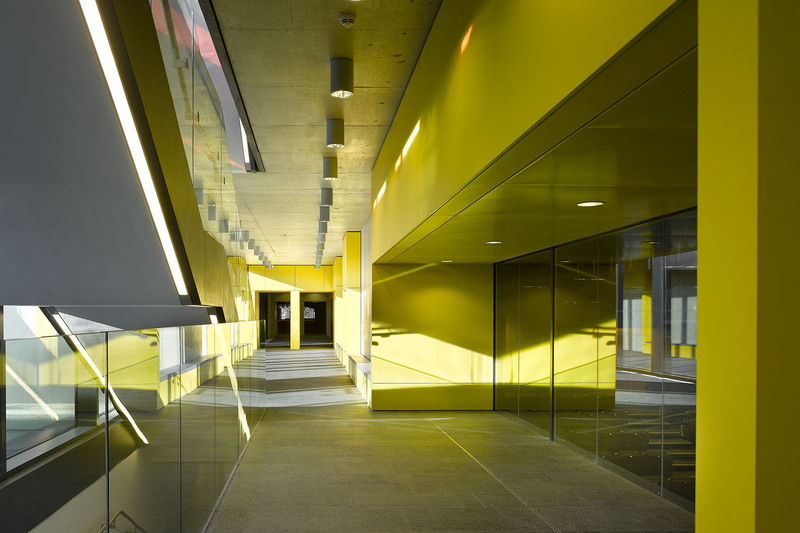 The scheme provides adaptable and flexible accommodation for changing curricula and teaching patterns. 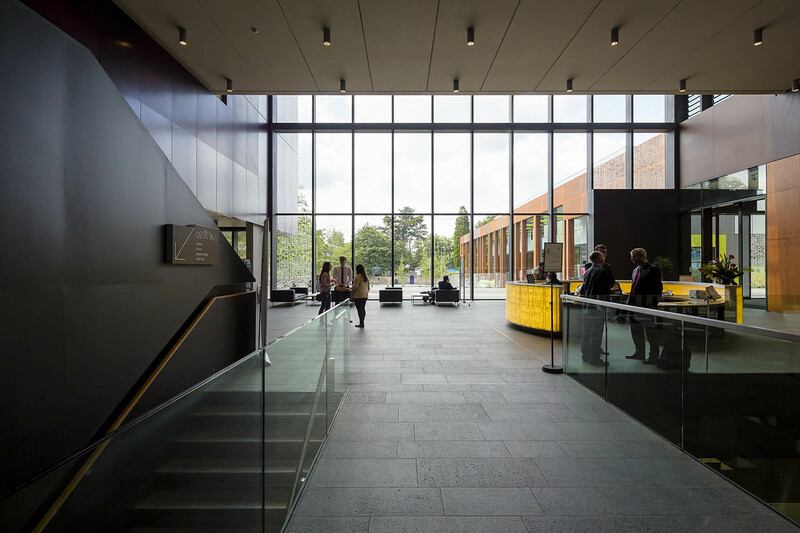 Designed from first principles for low-energy consumption in construction and in use, the John Henry Brookes is designed to meet the University’s vision for a ‘holistic approach to enhancing the student experience’. The ribbon has been introduced to address a number of issues around and within the building. Firstly it acts to tie the various components (the ‘pegs’) together, running as a continuous thread through the building. This helps to enhance the principle point of entry as well as reinforce the primary circulation route at level 1. On a practical level the colonnade element of the ribbon helps to give unity to the retail units behind, and provides shading to the food hall at the south end of the building. The ribbon, which runs from the Colonnade building, through the library and terminates at the food hall, is designed in weathering steel. 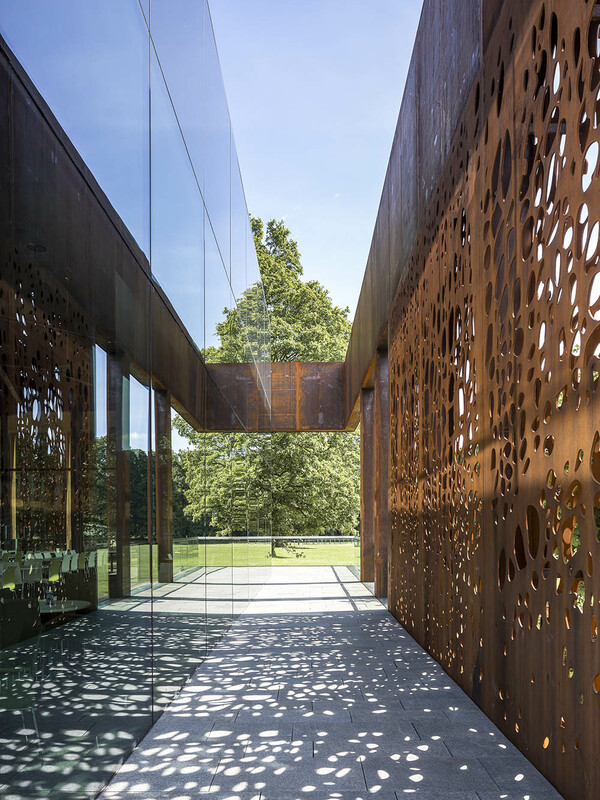 Weathering steel does not require any protection, such as paint, but instead forms a protective layer of oxidised material which prevents further corrosion from occurring. 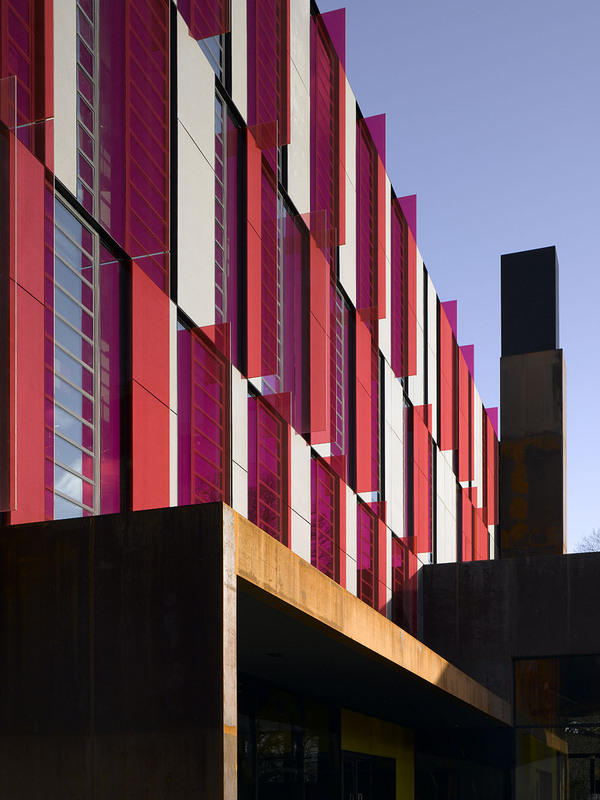 The internal elements of the ribbon were pre-weathered offsite and then sealed once installed. The engineering aesthetic of the element is further reinforced internally with visible flush-bolted connections reminiscent of the rivets on a ship. 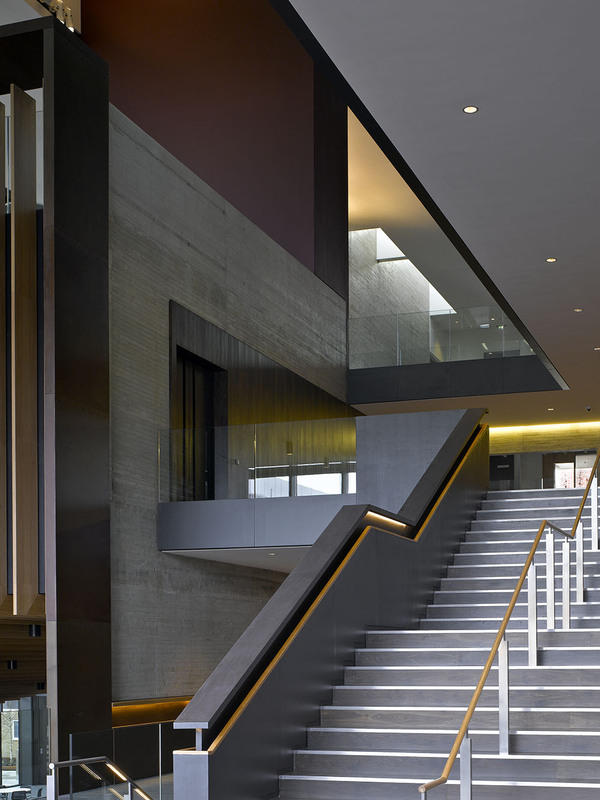 The combination of the ribbon and the textured concrete within the Forum contrast with the finer elements of joinery and cladding. 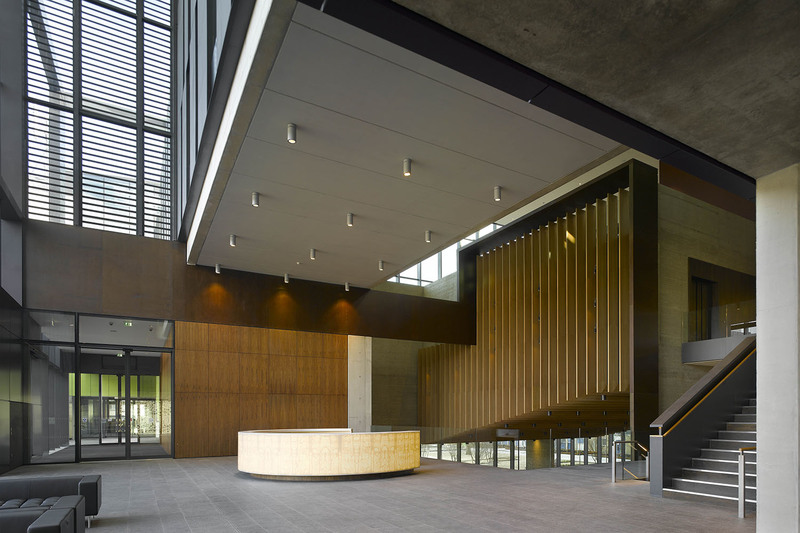 To achieve the University’s vision for a holistic approach the new building needed to contain a critical mass of accommodation. This includes social learning spaces, main library, lecture theatre, teaching rooms and catering. 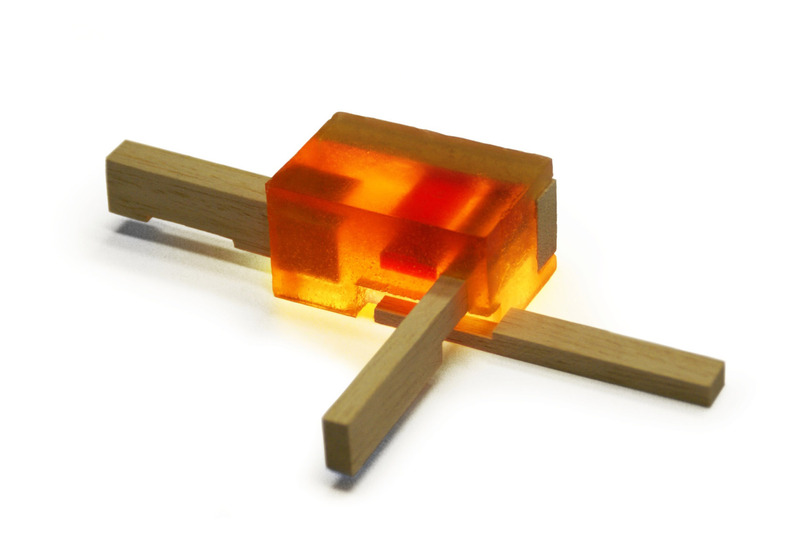 To give cohesion to the whole campus the core conceptual idea is of a central glowing box interpenetrated by pegs, which reach out to interconnect with the existing campus. 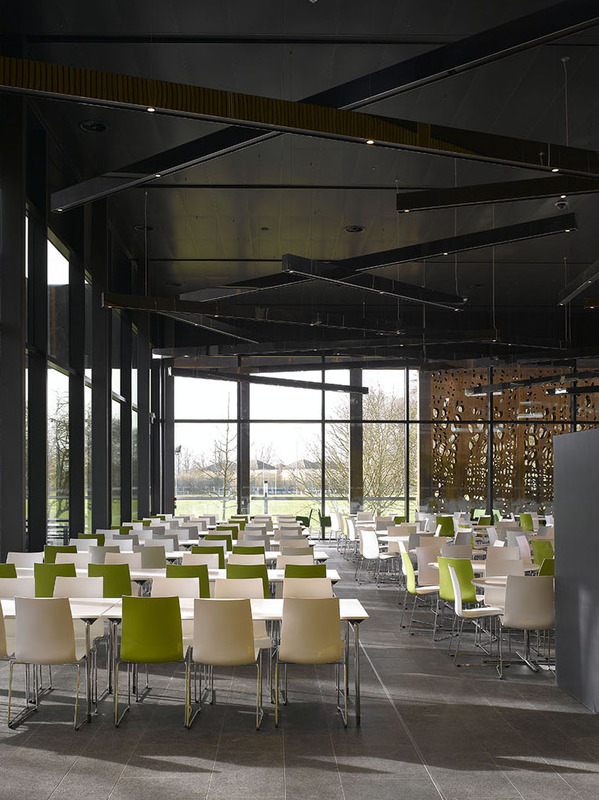 These pegs, whilst fulfilling the need for new and better university space, crucially provide the enclosure to a series of new but different external spaces. 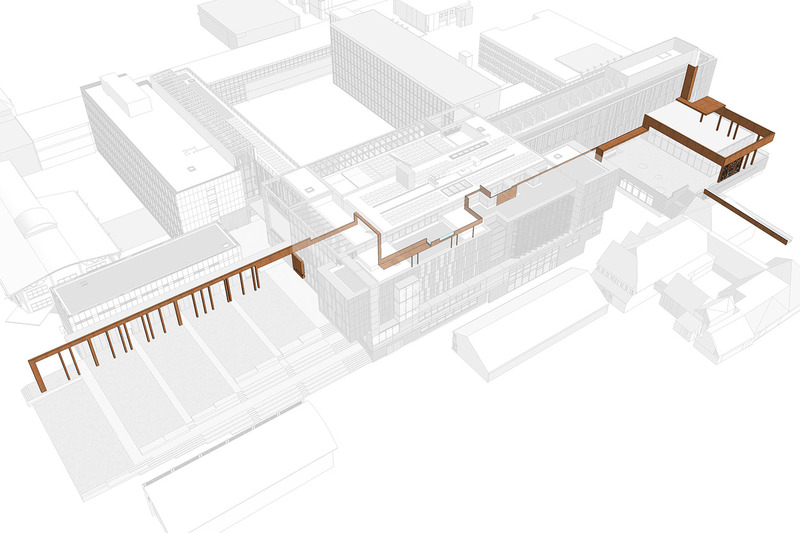 The Colonnade peg running towards London Road will form the Eastern boundary to the new Piazza. The Abercrombie peg creates a new façade to the Southern edge of a re-modelled central courtyard. The Library peg relates to the internal Forum and creates a new north/south street. And finally the Pooled Teaching and Food Hall peg forms the edge to a future courtyard behind Sinclair as well as a new western courtyard and terrace. The main University reception is housed within the main building, overlooking the forum space. 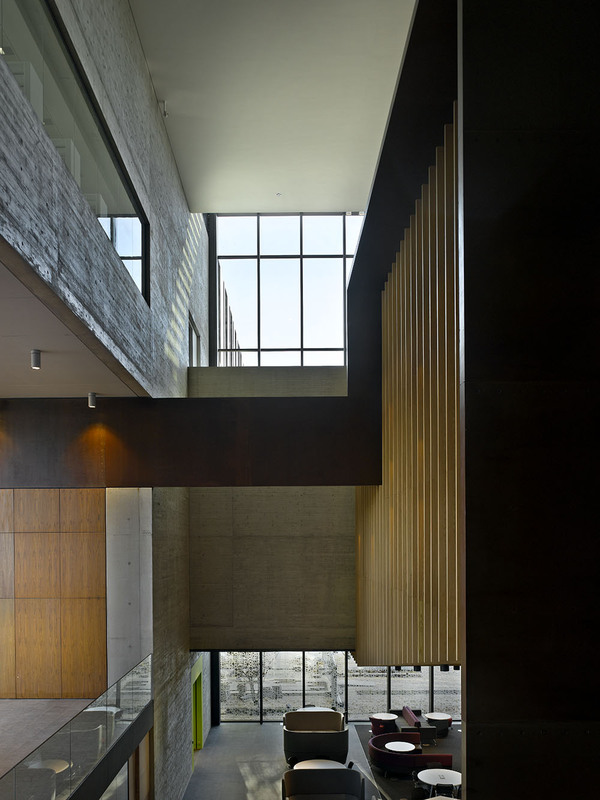 The entrance level is set one storey above the existing Abercrombie and inner courtyard level. This requires a change in level of 2.5m from Headington Road creating a gentle ramped approach to the building rather than falling. On entry (at level 1) you are then at the principle circulation level, and benefit from an elevated view across the forum, aiding orientation and legibility of the building, increasing the functionality of the forum space at level 0 and crucially providing fluid movement to the Student Union, pooled teaching rooms and food hall. The main entrance area is intended as a place to pause. It is at this point that visitors will be welcomed and, particularly during open days, it is important that there is a generous space for people to gather.